Welcome today's guest, Camille Minichino, a retired physicist turned writer. As Camille Minichino, she's the author of the Periodic Table Mysteries. 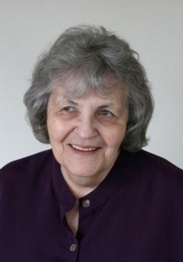 As Margaret Grace, she writes the Miniature Mysteries, based on her lifelong hobby. As Ada Madison, she writes the academic mysteries featuring Professor Sophie Knowles, college math teacher. 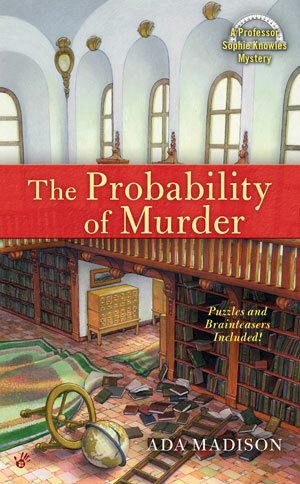 The Probability of Murder will be released March 6. Soon, every aspect of her life will be a mystery series. I don't trust anything that can't be described by an equation and/or plugged into 120 VAC. So you can imagine my delight when Gigi told me that the Pens, my bookmarked, read-daily blog, would be talking about SNAKES! An equation-based theme; what a dream! The snake curve is one of my favorites. Also called active contours, snake curves are the wave (so to speak) of the future. They're able to track motion in a way that holds great promise for cool apps, like tracing the history of a person's smile, or the action of a heart valve. The full progress of the smile in the picture, as well as other apps that are sure to revolutionize medical image processing, are given in this report from the International Journal of Computer Vision. OK, I know for some people the snake curve may not be the first thing that comes to mind for this topic. 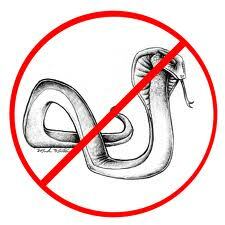 More often, the word SNAKE evokes an image of a scaly reptile, or a plumber's tool, or an ex-husband. I could save a lot of time by simply putting NATURE on my Anti-Bucket List. But NATURE includes technology, which I love and want more of. Unlike snakes, technology is an extension of ourselves, from scissors as an extension of our fingers (not just for Johnny Depp!) to printers and books as an extension of our thoughts, to cars as an extension of our legs, and so on. Snakes do nothing to extend our abilities. Not even Juliet Blackwell's earlier post, with its symbolic pokes in that regard changed my mind. I get really tense if I inadvertently walk down the pet food aisle in the supermarket, where they sell 25-pound bags of snake food. In fact, I'm getting tense writing this blog. Excuse me while I plug up all the vent holes in my house. Love, love the idea of an Anti-Bucket List. :) Thanks so much for visiting and congrats on the upcoming release!! When my brother returned from his Army service, he and his new wife, and their many friends, included me on their weekend excursions, such as camping. One friend cautioned that, should I awake with something coiled next to me, to move cautiously as it might be a snake. Slept in the car and no more camping. And, while I refuse to admit to any falling scales (groan), even I must admit that these 10 years' older adults had the intelligence of nits--else all would have joined me in the car. Snake curve in a SMILE? I'm reeling! I'm so happy to be here with my favorite, smartest, wittiest bloggers! For me, my car pretty much defines the outdoors, Liz! Kids and animals--you're the brainiac version of W.C. Fields! My anti-bucket list is very unambitious--I hope to stay out of jail, out of surgery, and never see any of my relatives on COPS. math + humor + depp reference??? only you, camille!!! !